With installations for high abuse and traffic, chemical containment, thermal shock or high temperature resistance, concrete leveling and concrete restoration, conductive and static dissipative coatings or low cost sealers and concrete densifiers our numerous industrial floor options can handle a wide variety of applications. In addition to our standard epoxy, urethane and decorative flooring options, we also offer industrial coatings, stained concrete and polished concrete installations that are perfect for retail showrooms, restaurants, bars, schools and retail warehouse applications. 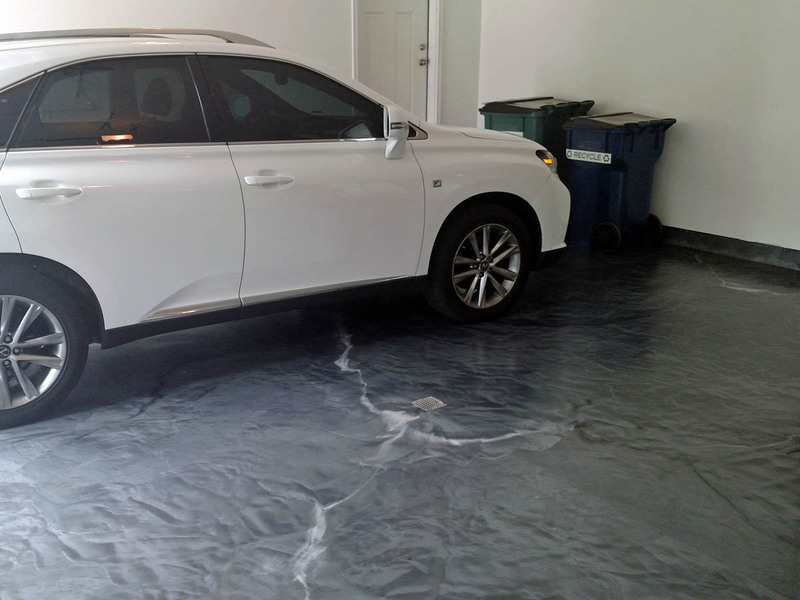 Our garage epoxy flooring, polyaspartic flooring, and aliphatic urethane flooring systems allow us to install a customized system to meet your needs for long term durability and appearance. Popular options include our standard solid colored system, decorative flake, decorative quartz and metallic epoxy systems. We're a concrete flooring expert servicing Battle Creek, Michigan by specializing in concrete polishing, floor cleaning, installation of polyurethane and epoxy floor coatings of indoor cement surfaces, and the restoration of concrete floors for industrial, commercial, and residential clients. For our commercial & industrial flooring clients this usually involves manufacturing floors, chemical containment areas, electrically sensitive area requiring conductive or ESD (electro-static dissipative) properties, food processing areas, production floors, warehouse floors, as well as bathroom floors, and/or break room floors in factories. For residential flooring clients this primarily involves their concrete garage floors. Concrete floor coatings are special resins (most often polyurethane or epoxy) that when properly applied create an impenetrable coating, or layer on cement preventing the transmission of water and contaminants while at the same time keeping the structure safe. Installation of resinous flooring is commonly used for sealing, waterproofing, repairing, restoration and resurfacing of concrete. Flexible polymer coatings are used on multi story and pre-cast cement structures such as parking ramps and mechanical rooms, waterproofing the levels below and protecting against chemicals and physical abuse. Oil, Salt and other chemicals can cause damage to structures, especially in high traffic areas. Resinous floor coatings can be used to prevent, reduce and repair damage in such areas. The most common types of Resinous flooring systems include epoxy coating, epoxy resurfacer or epoxy mortar, urethane coating, urethane mortars, polyurea, as well as polyaspartic coating application. By focusing on cost-effective coating technology that protects the environment while protecting concrete surfaces, Vanguard Concrete Coating provides users with safe, long-term epoxy flooring & finishing protection that reduces maintenance and expenses. Concrete polishing is the process of mechanically and chemically transforming concrete to an attractive easy to clean finish with various levels of gloss options and aggregate exposure. Heavy-duty concrete polishing machines equipped with progressively finer grits of diamond-impregnated abrasives are used to gradually grind down surfaces to the desired degree of shine and smoothness. Concrete polishing begins with the use of coarse diamond segments bonded in a metallic matrix. These segments are coarse enough to remove minor pits, blemishes, stains, or light coatings from the floor in preparation for final smoothing. The next steps involve fine polishing of the concrete surface using diamond abrasives embedded in a plastic or resin matrix. Crews use ever-finer grits until the floor has the desired sheen. During the polishing process an internal impregnating hardener or densifier is applied. The densifier sinks into the concrete and is invisible to the naked eye. It not only protects the concrete from the inside out, it also hardens and densifies the concrete. This eliminates the need for a topical coating and aids gloss retention. A concrete dye or stain can also be added to the process to provide color concrete options. 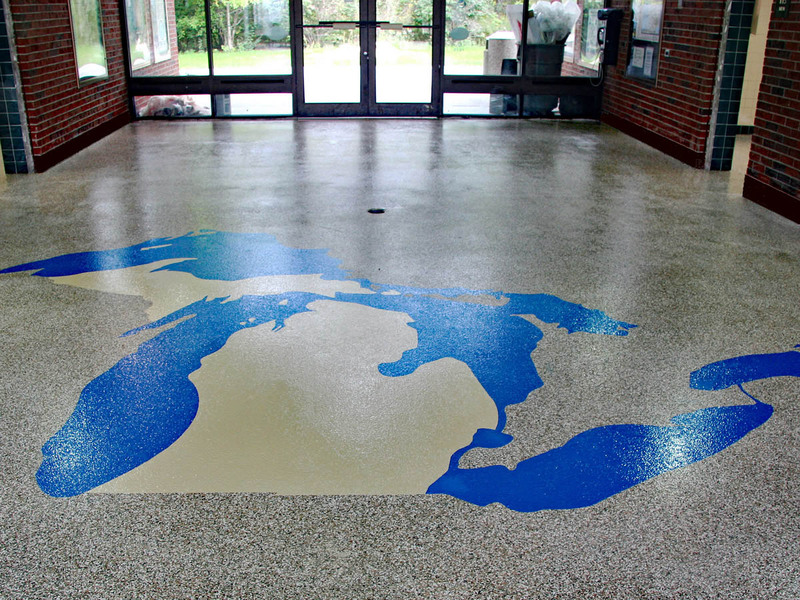 Our company standard colors for epoxy flooring are displayed on our colors page; We offer custom epoxy paint colors, decorative flake flooring, decorative quartz flooring, metallic epoxy, as well as decorative logos, lettering and traffic lines. Vanguard offers several forms of surface preparation including shot blasting, diamond grinding, and scarification. We know that preparation is the key to great finish. 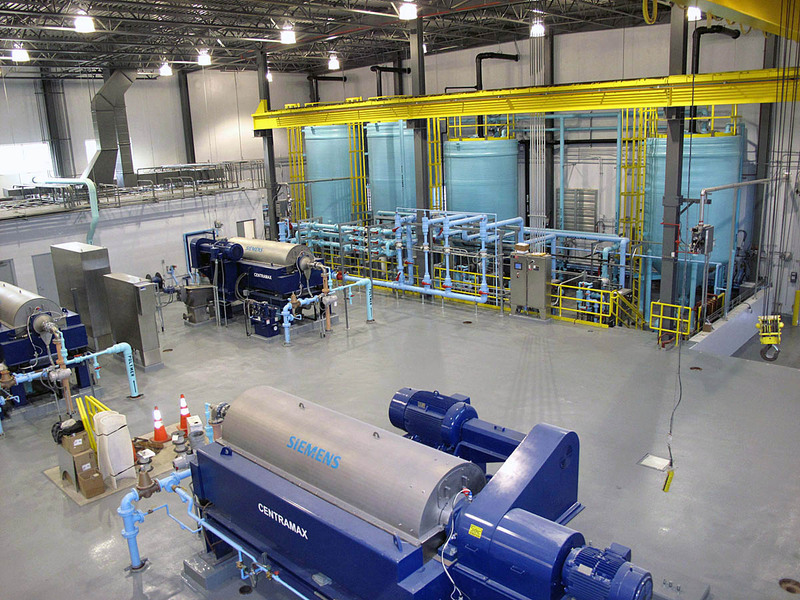 Over 80% of coating failures can be attributed to improper or in sufficient prep. It is important to provide a clean surface free of contaminants and defects with a profile or texture. The most common type of polymer flooring installation is the epoxy floor. Epoxy flooring installation can accomplished by squeegeeing the epoxy, roller epoxy application, epoxy slurry and broadcast as well as Epoxy power Troweled resurfacer where the epoxy is screed applied normally at 1/4 inch and a mixture of epoxy resin and blended aggregates are combined to make an epoxy mortar which is then finished with hand trowels and power trowels in order to resurface and restore the concrete surface. An epoxy floor coating may be applied as thin as a coat of paint or up to 3/8 of an inch and in areas in need of repair may be several inches in thickness if needed. Industrial epoxy flooring installation requires well trained applicators, specialized preparation, and working knowledge of the proper epoxy coatings or epoxy resurfacers for the individual application. 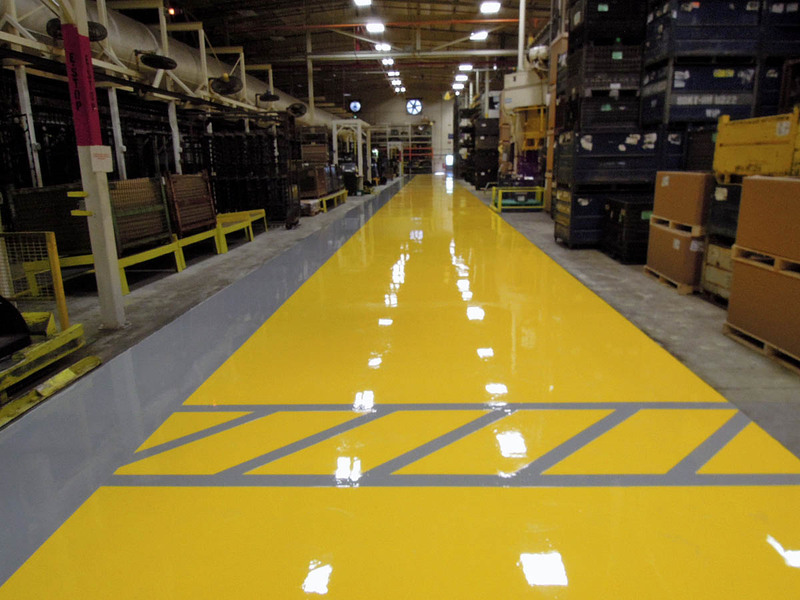 Epoxy floor coatings may offer varying degrees of chemical resistance, ultraviolet resistance, as well as speed of cure time and installation thicknesses. As a general rule the faster it dries, the higher the chemical resistance, the better the UV stability and the thicker the floor the more it will cost. This is why it is important to understand the epoxy flooring installation to compare on product or installation with another rather than just picking the least expensive product or epoxy flooring installer. 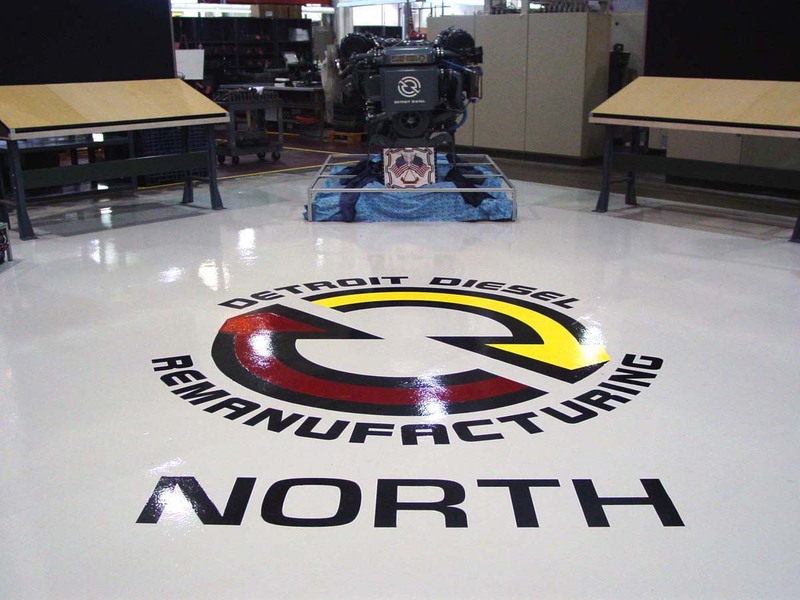 For industrial and commercial flooring projects we work in Michigan cities such as Muskegon, Norton Shores, Newaygo, Traverse City, Big Rapids, Cadillac, Reed City, Mount Pleasant, Flint, Howell, Lansing, Jackson, Battle Creek, Kalamazoo, Hastings Plainwell, Otsego, South Haven, Benton Harbor, St Joseph, Holland, Grand Haven and Grand Rapids. For residential garage projects we generally only bid on work within 30 miles of Grand Rapids, MI.